How does Google Drive Stack up Against Dropbox? Will Google’s Pending Cloud Storage Service Be the End of Dropbox? 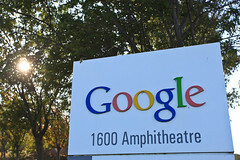 Rumors have been circulating since around 2006-2007 about a cloud storage offering from Google. According to the Wall Street Journal, Google is very close to launching a service that will rival Dropbox. Google’s storage service, called Drive, will allow users to store and share documents, videos, and photos on Google’s servers and access them across mobile, tablet and desktop devices. The launch date is still vague, said to be in the coming weeks or months. The service is expected to have native syncing, allowing users to drag and drop a file and then access it immediately from a variety of devices. As with many of its services, Google is expected to offer Drive for free with a fee for users and businesses choosing to store large amounts of data. While Google has not answered questions concerning the amount of free storage to be offered, many expect it to be significantly more than the 2GB of free storage offered by Dropbox. Even arriving late to the table, Google is expected to be competitive with Apple’s icloud, Amazons Web Storage Service, and Dropbox, among others by out-pricing the competition and leveraging their extensive user base. As a freelancer I find the prospect of more free storage space enticing. But I’ll wait to see if they can actually launch this time. What about you? 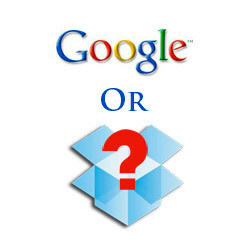 Will you leave Dropbox for Google Drive? Google has reportedly declined to comment.